Paxiom Group is comprised of five globally recognized packaging machinery companies. Today, we will be discussing three among the five companies namely, WeighPack Systems, EndFlex Packaging and SleekWrapper. WeighPack Systems Inc. was established in 1992. WeighPack is a global company recognized for automated weigh filling, bagging, container filling and conveying solutions. In addition , one of its core values is to provide the best value possible to its clients. The WeighPack Company aims to put their customers first above all else, which is why it has continued to grow over the years. After having introduced their new innovative facilities with the most up-to-date features, WeighPack is gearing up towards a future that considers product development, equipment serviceability, and excellent customer care as its main focal points. 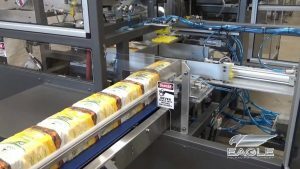 Six years after WeighPack Systems Inc. was built, the next packaging machinery company was established by the name of EndFlex or EndFlexPM. EndFlex is a USA based company that specializes in case erectors, tray formers, automatic case. Tray loading, semi-automatic case packing and sealing and also robotic palletizing technology. Established in 1998, EndFlexPM has developed a diverse product line that involves the capability of forming and sealing corrugated trays and cases with the use of glue, tape, or through self-locking. Due to its global and still expanding growth, EndFlexPM has effectively installed machines in a variety of industries such as food, beverage, apparel, beauty, health, automobile, printing, pharmaceutical and consumer electronics (among others). Its product line consists of popular brands like PopLok, Vassoyo, Boxxer, and Z Zag robotic palletizer. It used for all shapes and sizes of cases and trays. Then lastly—but definitely not the least—is the SleekWrapper company. SleekWrapper is committed to providing its customers the highest quality products at reasonable prices. This brand is widely known for its automatic flow wrapping machines. It only manufacture in stainless steel with the help of servo drive technology. Indeed, a living proof of SleekWrapper’s commitment to its customers. The SleekWrapper lineup is manufactured in Italy. All SleekWrapper’s products are crafted for the specific needs of its customers and built as long-lasting and high-performance machines.